It's an odd situation that I am in here. 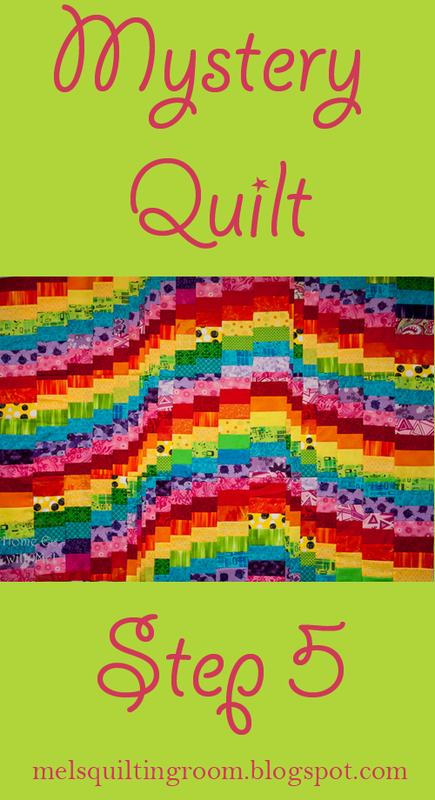 I have the quilt top done and I have all the steps for you to finish your quilt. Since I do this "live", I'm only a week ahead of you all, sometimes things need to change that I hadn't anticipated when I drew the pattern out. It might be an extra strip that needs to be cut but it's never anything that changes what I present to you. This time there is a huge difference though. 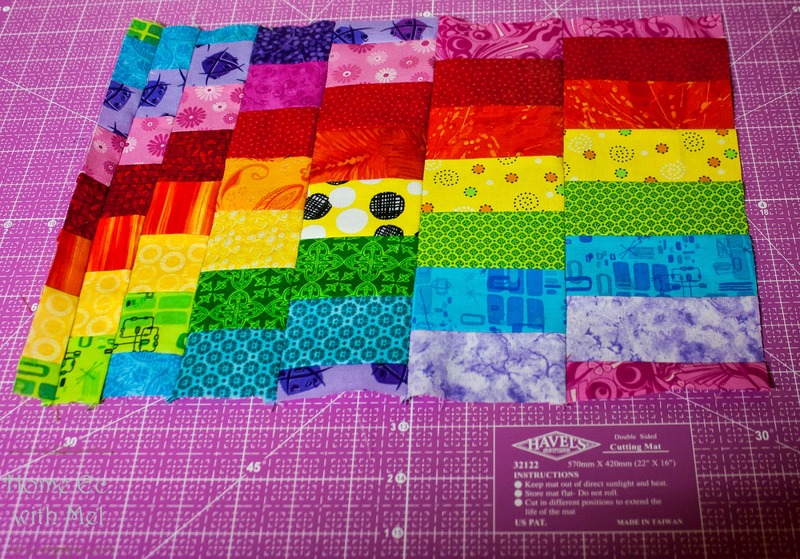 I knew I was going to be short a row because of the strip sets that got ruined while I was fussing with getting the fabric to look like my plan. Not a big deal, I knew it wouldn't change what we were doing here. Then I put it up on the design board and went, "OHHHHH we've got a problem." I liked it too much. I want it bigger. A lot bigger, I'm thinking either big enough to fit the back of the couch or big enough for my bed. So I put mine up for now while I source fabric in the right color values to make it bigger. It's a nice problem to have though, when you fall in love with your own design. So let's finish up your top. I'll keep you posted on mine. So right now you have three different blocks. 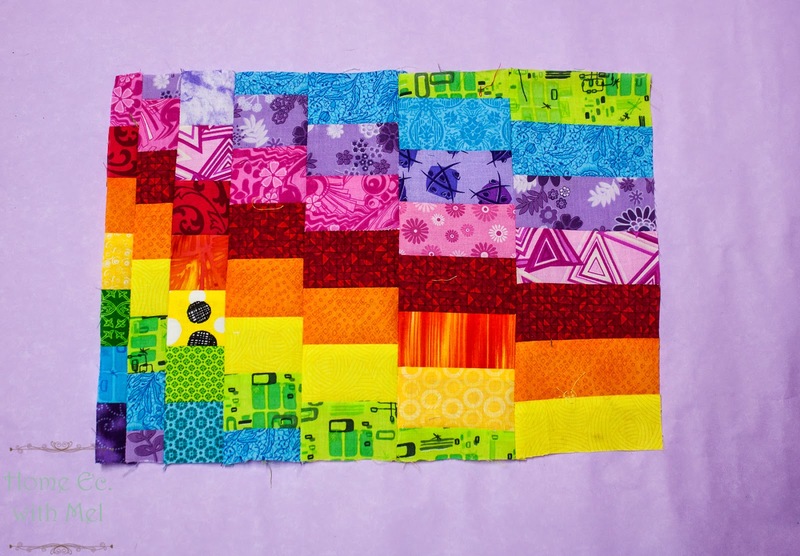 You need to measure your blocks to see if you need to trim any. The only one I had to do any major trimming was the first one but I knew that when I made it. Mine measured 14 1/4 inches wide and 10 inches high. 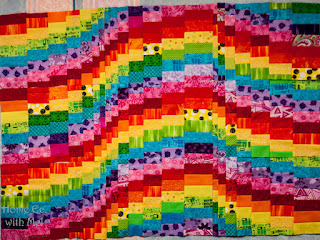 Yours are going to be slightly larger because I had you cut 2 1/2 inch strips or use a jelly roll. If you find a block way small, iron it again. You can sometimes get up to 1/2" back just be pressing again. You really just want to trim off the bare minimum. 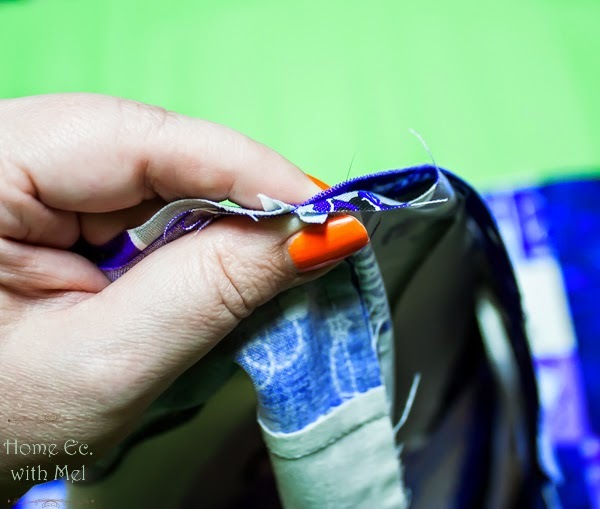 If you have a block that is really small or really big check your seams. Cutting large hunks of fabric off these blocks will kill the over all effect. Layout is pretty simple, each row is just one of each block in the order that we sewed them. It's also the order that I show above. The critical thing here is making sure your seams are pressed the right way. You will have 4 rows. Rows 1 and 3 all of the seams need to be pressed to the right. Rows 2 and 4 need to be pressed to the left. 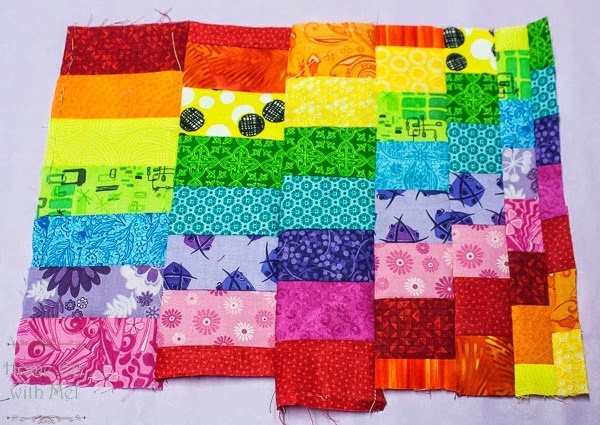 We have to be able to lock our seams together with this quilt. Remember locking our seams means that little bump that forms on the back of the block locks with the one on the other block. This quilt will give it away if you don't get them locked. 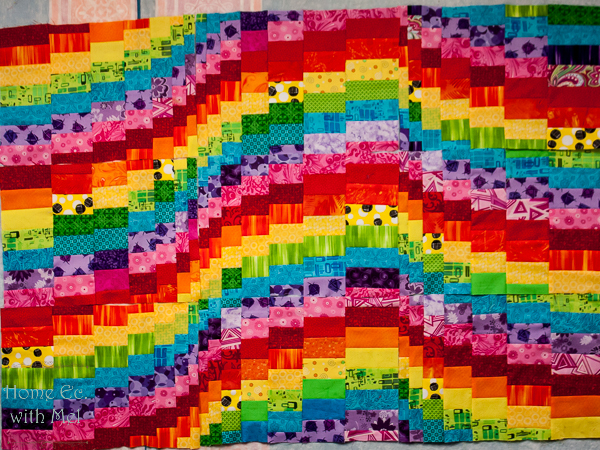 I hadn't planned on this quilt having borders. There is no rule about this. 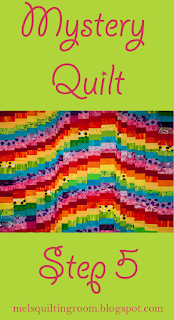 OHH I almost forgot to tell you the name of the quilt that we made. It's called a bargello. I didn't want to tell what it was because I didn't want to overwhelm you. It looks so difficult but now you know that you can make one. Omg! I love the bright colors! This is great!